Miami is one of the first parts of the U.S. threatened by the Zika virus. See how moms-to-be cope with the new threat. Sloane Borr is pregnant. She's also a Florida resident, which complicates things a bit: The Zika virus is active in parts of Miami, with 111 pregnant women in the area infected with the virus. And as we all know by now, the virus can have incredibly dangerous effects if it affects a pregnant woman. While there are travel advisories in place to caution to-be parents to avoid travel to the area, it's much more challenging for women who live in Miami. How are they expected to minimize their risks when they call the site of transmission home? If you're anything like Borr, you'll go to any length to protect yourself—and your growing baby—from the virus. According to the Miami Herald, the pregnant 29-year-old has invested in a hazmat suit, complete with a hood, a hat and a mosquito net that falls over her face. She stays home most of the time, and when she leaves the house, she covers herself in bug repellent. 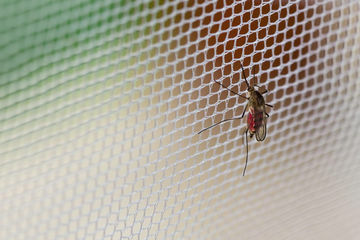 This decision might seem extreme, but it's right in line with expert recommendations for pregnant women who have no choice but to be in any of the areas with active Zika: The group suggests wearing long-sleeved shirts and long pants, using mosquito repellant, sleeping underneath mosquito nets and leaving as little skin exposed as possible. It's a good thing Borr is taking such extensive precautions against the virus: Though the Centers for Disease Control (CDC) initially defined Wynnwood and Miami Beach areas as Florida's no-go zones, they recently added Borr's Little River neighborhood to the mix. While Florida residents have the option of delaying pregnancy until a course of treatment for the virus is established, women like Borr, who learned of their pregnancies before officials caught on to the virus's presence in the area, find themselves in difficult situations. Borr isn't the only mom who has had to deal with Zika after learning of her pregnancy. Tom and Allison Haberstroh also found themselves in a tough situation when their South Beach neighborhood was identified as a Zika zone—they left Florida and stayed with Tom's family in North Carolina after their obstetrician highly recommended leaving the area if possible. The couple is lucky—Tom is able to work remotely—but called the decision to leave their home "agonizing." Still, the couple told the Miami Herald that this prospect seemed better than the one they'd face had they stayed in Miami. “I don’t think we’d go back without the Zika vaccine,” Allison told the Miami Herald. The news outlet also shared stories of Laura Allan, a pregnant woman who regularly dons garments resembling mosquito nets over her clothes, strange looks be damned; and Steve Berry and his wife, an outdoor couple who have been forced to change their lifestyle in order to avoid the virus. The CDC has defined areas in and around Miami as "yellow areas," and "red areas," and the areas classified as red are the more dangerous of the two. All pregnant women who have lived in or travelled to any of these areas after August 1, 2016 should be tested for the virus, and those who are trying to conceive should consider putting off pregnancy until eight weeks after exposure.